Of all your wedding day events, none will be as important as the time you entrust to your wedding officiant who will be performing your ceremony. After all, in these moments you will speak your sacred vows to one another and say your first words as a married couple. With expert guidance and planning, your ceremony will convey the right messages about you as a couple, both to each other and to those witnessing your vows. Do you want to include the story of how you met, the proposal or any other special elements of your time together as a couple? What do you want to say about the meaning of your marriage? What style or type of ceremony do you desire? We can design a formal ceremony, an intimate conversation, a religious ritual, a gathering of family and friends . . . whatever you prefer. 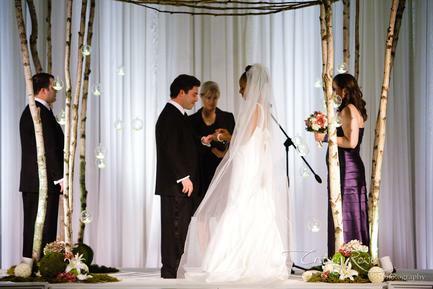 Is your officiant willing and able to perform the ceremony you want? You will want to select someone who can be a spokesperson for your values and your unique relationship. 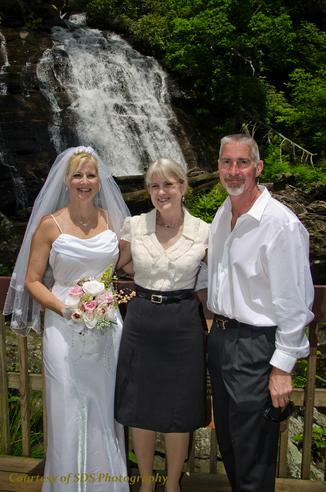 Your officiant will reflect the tone and spirit you want to create at your wedding. Do you feel at ease and comfortable with your officiant? Do you feel he or she is listening to you and honoring your choices? Do you like the sound of your wedding officiant's voice? Will your officiant spend the time to get to know you as a couple? Will you trust that he or she will speak the words that will be appropriate for the two of you? Most importantly, listen to your heart and select an officiant that feels right for you! Of course, it is my intention to fulfill all of these qualities as your wedding officiant. In addition to my role as an ordained wedding minister, I am also a counselor and hypnotherapist. Every day, I spend time with my clients, listening carefully to them and helping them to improve their lives. I am fortunate that my voice is one of my greatest assets. Over the last 25 years, many of my clients have complimented me on the soothing, calming quality of my voice. I bring this same relaxing, loving energy into your wedding ceremony, so everyone, including you, will feel very peaceful and good! Here is a partial list of some wedding ceremony sites at which I've had the honor of officiating. If you have questions about any of the sites, I'll be happy to help. and of course, many private residences. Call Karen today at 404-931-6356 to check availability for your ceremony or simply fill our the form below; I'll give you a call.